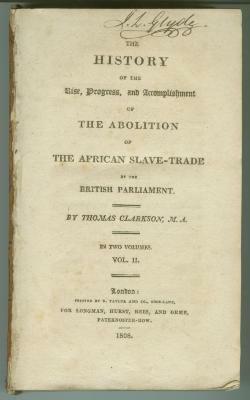 The History of the Rise, Progress, and Accomplishment of the Abolition of the African Slave Trade by the British Parliment. A very delicate book which holds the engraving of the layout of slaves aboard a slave ship. 1st ed. Purchased with funds donated by Herbert D. and Ruth Schimmel.